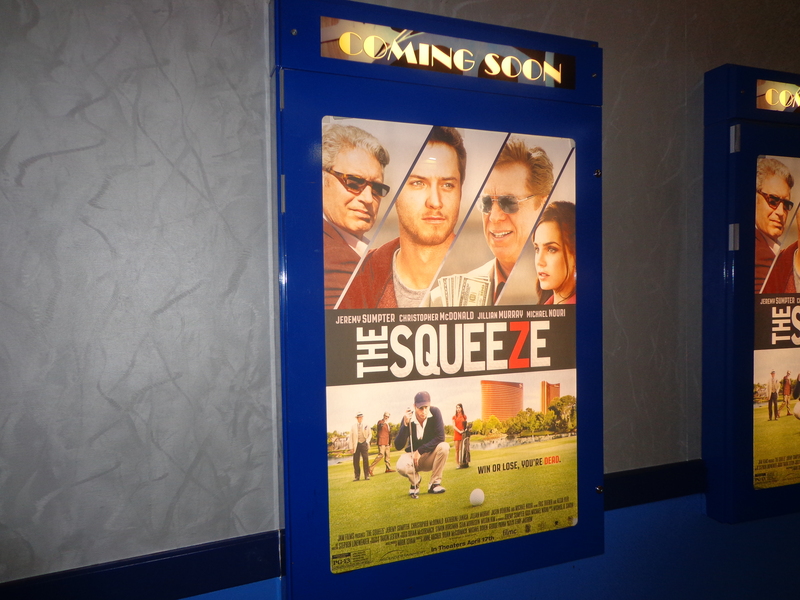 “The Squeeze,’’ however, certainly provided a lot of fun for the audience at its Chicago premier showing in Skokie this week and it’ll likely be a delight at its second showing — a March 30 fundraiser for the Illinois PGA Foundation at Bensenville Theater. The movie won’t be officially released until April 17. Terry Jastrow, long-time producer and director for ABC Sports, wrote “The Squeeze,’’ the story of a young golfer from a small, rural town who gets caught in a life-or-death predicament between two Las Vegas gamblers. Jastrow’s wife, Anne Archer, is a producer of “The Squeeze.’’ As an actress she had roles in “Fatal Attraction,’’ “Patriot Games’’ and many other notable movies. Mickelson isn’t the only other golf celebrity who had a favorable reaction after a sneak preview. Jack Nicklaus and Tom Watson also liked it for its authenticity, and Watson even invested in the project. He wouldn’t commit, though, until seeing five swing videos of Jeremy Sumpter, who plays Augie Baccas – the lead character. 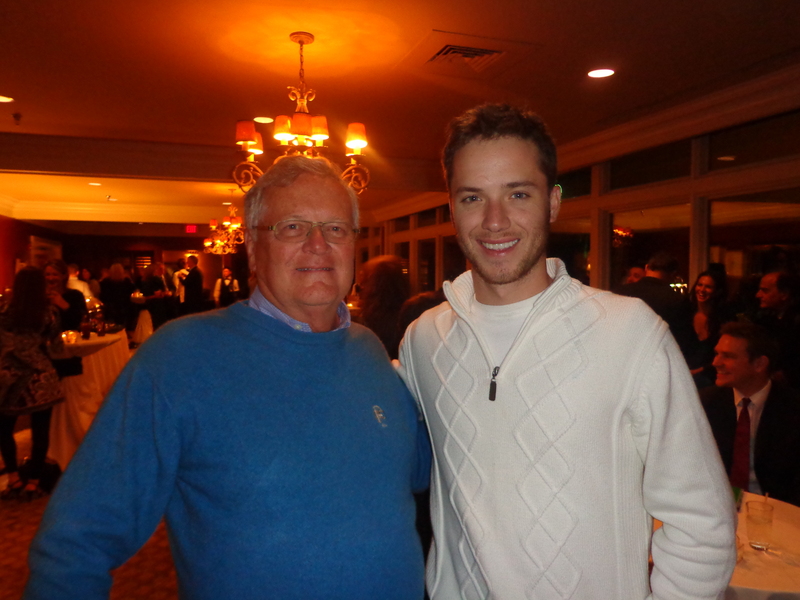 Jeremy Sumpter (right), star of “The Squeeze,” insisted to me that he’s an actor first — but his golf swing is plenty good, too. Sumpter is a plus-1 handicap at a club in California but hasn’t played serious tournament golf. “I’m an actor,’’ he said after the Chicago premier, and there’s no doubt he is that. More prominent acting names are also in the cast. The dueling gamblers are played by Michael Nouri (“Flashdance ‘’ is just one of his many stage and screen credits) and Christopher McDonald, who played one of my favorite screen characters – Shooter McGavin in the golf comedy “Happy Gilmore.’’ McDonald’s character in “The Squeeze’’ is loosely patterned after the notorious golf gambler Titanic Thompson. “The Squeeze’’ has similarities to the two golf movie classics. Like “CaddieShack’’ it has its humorous side. Like “The Greatest Game Ever Played’’ (the story of Francis Ouimet’s shocking win in the 1913 U.S. Open) it has an historical base. 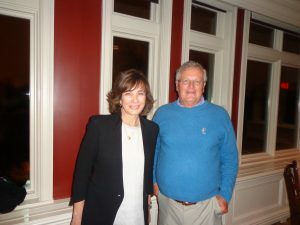 Jastrow and Archer got the idea for the movie after a dinner with Chris Flatt, head of international marketing for Wynn Las Vegas, and her husband, Keith. Keith told them about a six-month period in his youth, about 30 years ago. He had won his city amateur tournament by 15 shots and was enticed by a gambler to take his skills to Las Vegas. That didn’t go so well, as Flatt had to be whisked out of town on a bus to avoid trouble with some tough guys. As producer of “The Squeeze,” well-known actress Anne Archer provided me with insight on the filming of this fun, new golf movie. That tale had a happy ending, as Flatt now owns six courses in the Las Vegas area. 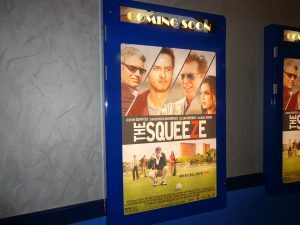 “The Squeeze’’ has a surprise ending, with both “Riverboat’’ (McDonald) and “Jimmy Diamonds’’ (Nouri) foiled in their attempts to win a bet with each other. Only 19 days were required for the filming – 13 basically at Eagle Point in Wilmington, N.C., and six at Wynn Las Vegas Resort. Eagle Point will become more prominent in 2017 when it hosts the PGA Tour’s Wells Fargo Championship. That event will change home courses for a year because usual base Quail Hollow in Charlotte, N.C., will host that year’s PGA Championship. The IPGA Foundation event, a fundraiser for Maryville Academy’s golf program, starts at 6 p.m. with appetizers and the movie begins at 7:45 p.m. Tickets, available through the IPGA, are $60.